With gardening season approaching, many Nova Scotians in search of lush lawns will reach for a matchbook. But don’t light that match, says Jim Rudderham, supervisor of wildfire management for the provincial Department of Natural Resources forest protection unit. He says the risks of setting your lawn ablaze outweigh the advantages. Grass fires can damage the homes of small animals. They can quickly get out of hand. Nova Scotia’s damp and often snowy springs mean people feel safe setting fires, expecting the moist environment to keep them from spreading. But just a few hours of sunlight can considerably up the danger factor. “Grass, in a day, can go from where your feet get soaking wet walking across it, to being tinder dry and you have flame licks the height of your waist,” Rudderham said. Rudderham’s unit doesn’t keep track of specific numbers of grass fires — since they’re not forest, they’re not technically his jurisdiction. Still, he estimates that they respond to thousands every year. He’s familiar with them because grass fires can spread to nearby wooded areas and turn into wildfires. Last year, by Rudderham’s count, Nova Scotia saw 230 wildfires. The 20-year average is 330. The wildfire risk season started March 15. Grass burning is common practice in more rural areas of the province. The department is keen to dispel myths about it. “Some communities, it’s what they’ve always done, and they’re always going to continue to do it, because their fathers and their grandfathers and whoever always did it,” said Rudderham. Some people might think they’re helping the grass grow by removing old vegetation, or they hope the grass will come in greener. 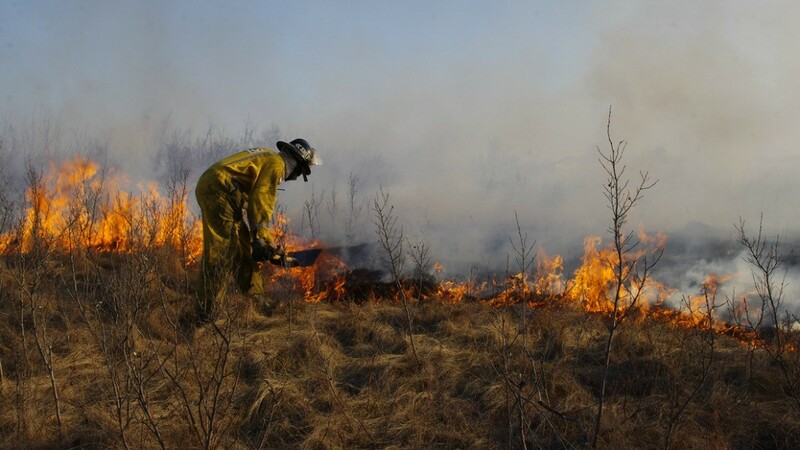 The DNR says burning lawns instead reduces grass growth by 50 to 70 per cent. David Percival, a professor of environmental science at Dalhousie University’s agricultural campus, says there’s some truth to the idea that burning off the dead grass can help nourish the incoming sprouts. “You’re turning a lot of that old debris, which might be dead grass, essentially you’re turning it into an ash. And then there’s nutrients situated within that ash which can then be recycled back in and support new growth and development of plants,” said Percival. Rudderham says this can be easily dealt with through “proper lawn care” like raking. And as for the aesthetic appeal of the fresh green sprouts? “It does look very nice. But even if they hadn’t burnt off, those green sprouts are going to come up through the dead grass anyway,” said Rudderham.